Award Winning Contractor – Triad Restoration Inc.
Triad Restoration is a proven Top Contractor in the Southeast. 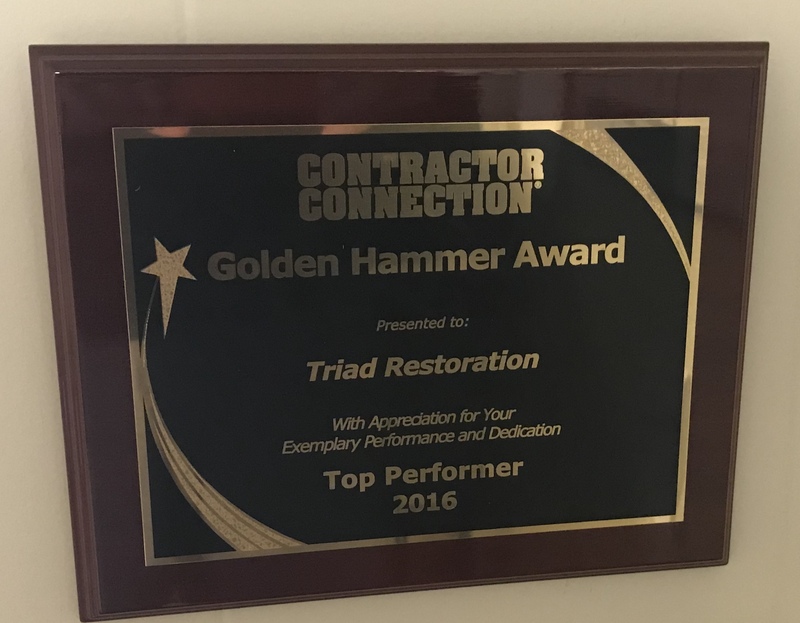 For 5 years in a row Triad Restoration has received the award for Top Contractor. This award is presented by Contractor Connection. Contractor Connection is a company that administrates the Insurance Claim repair contractors across the United States.